I'm so happy my family went on cruise for 7 days as we celebrated the 50th wedding anniversary of my Parents-in-law. We had 12 days vacation including the cruise on Caribbean Island. It flew so fast and I had a great time and so my parents-in-law were happy we brought them on cruise for their 50th wedding anniversary as a gift and they're already planning for their next cruise vacation. Day 2- Shop 'till we drop around Tennessee. Day 3- On the Road 6 hours and stayed in Gainesville, FL. Day 4- First Day onboard Royal Caribbean Freedom of Seas. Day 6- Third Day onboard Royal Caribbean Freedom of Seas at Sea. Day 9- Sixth Day onboard Royal Caribbean Freedom of Seas at sea. Day 12- Home sweet home. We're all surprised when we got home and the weather is so cold 37°. My parents-in-law went back in Michigan with snow.Can't wait for spring. See you on my next post: Day 1 All aboard Freedom of the Seas,Royal Caribbean International. Have a safe trip,Joy..enjoy your vacation dear. Wow, two weeks, that must be awesome and at the same time exhausting. 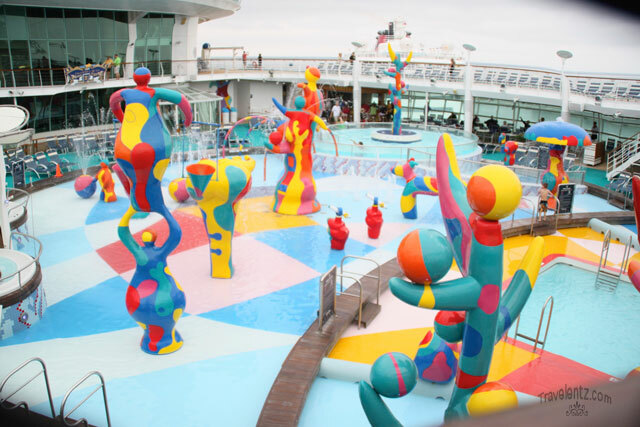 I have never experienced going on a cruise but it looks so much fun! oh, that is such a beautiful gift you gave to your parents in law Mhie, and 50 years, theirs was one of the greatest love stories ever told. love the pictures. What a wonderful way to celebrate a wonderful occasion. Happy 50th anniversary to your parents! wow, congrats for that 50 years...:) and you and your family's so sweet to give them a treat like that, i bet they are so happy with it. beautiful pictures, thanks for sharing. A great gift to your in-laws, 2 weeks vacation. Sure each one did have a fun experience. Wow! Those 12 days were amazing! Hope I could also experience a cruise trip with my loved ones :) Sounds exciting! Happy 50th wedding anniversary to your parents in law sis. I am sure you all had fun during the cruise. Looking forward to read more about the trip.